1939 Cigar Industry set of 3. Scott 356-358. 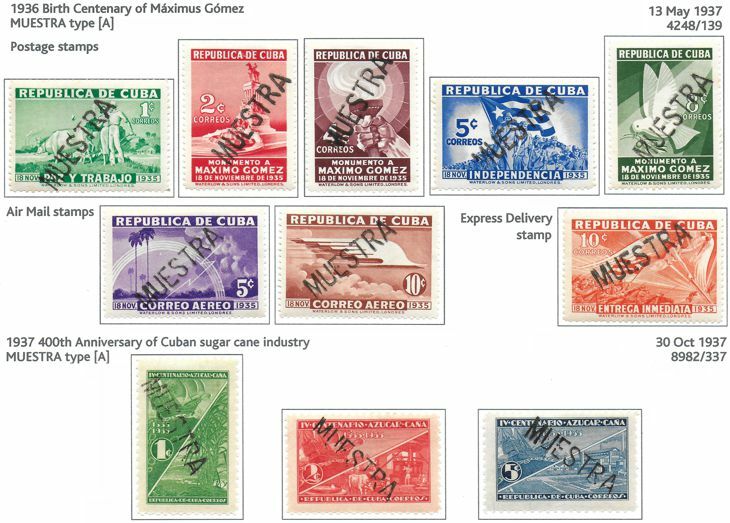 1939 Birth Centenary of General Garcia 2c and 5c each in a perforated and in an imperf strip of 3. Scott 359, 360. All affixed to part of archive sheet and cancelled 3-line SPÉCIMEN / COLLECTION / MAURITANIE - UNIQUE items from the Mauritania Post Office UPU specimen collection.